Route 66, The Mother Road from Chicago to Los Angeles. This iconic 2,448 mile journey will take you through 8 states and 3 different time zones. Enjoy the road in classic style with a soft top and enjoy the rustic, unique and vintage stops along the route. 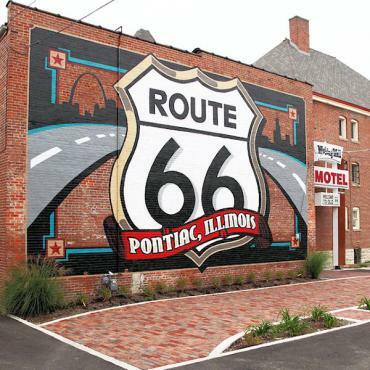 Take the holiday of a lifetime and drive the classic Route 66 with Bon Voyage. 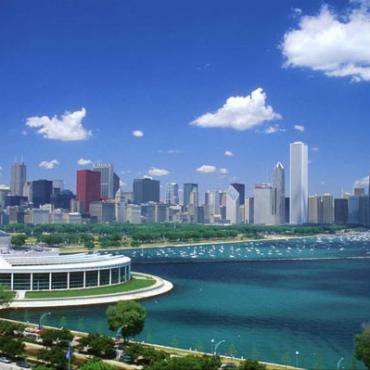 On the first day of your classic Route 66 holiday you arrive into Chicago and transfer independently to your hotel. Known as everyone's kinda town because Chicago is a city for all tastes. As lovely as Paris with its striking architecture and leafy parks, as entertaining as London and as bustling as New York there is plenty to choose from here. 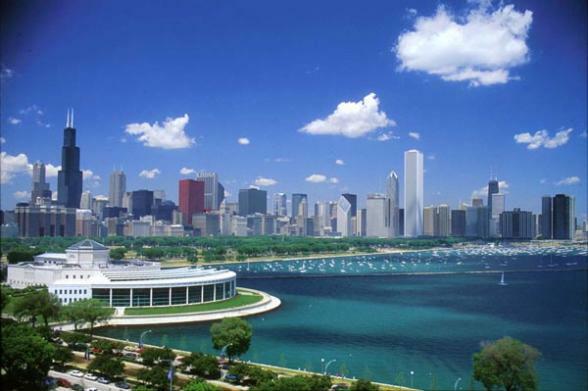 We suggest you visit Navy Pier, take a boat trip on Lake Michigan, shop the Magnificent Mile or take a tour of Wrigley Field. For dinner, the famous deep dish pizza, then in the evening head for one of the many intimate jazz bars or take in a comedy club. Collect your car and begin your Route 66 holiday. You can start your trip at Grant Park, the exact place where Route 66 begins. 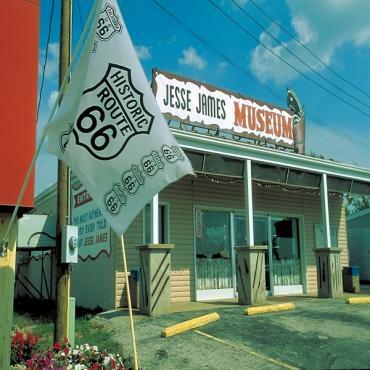 Most of today you will drive Route 66 through Illinois farmlands on your way to St. Louis, the crossroads where highways from Chicago, Kansas City, Memphis, Nashville, and Indianapolis meet. 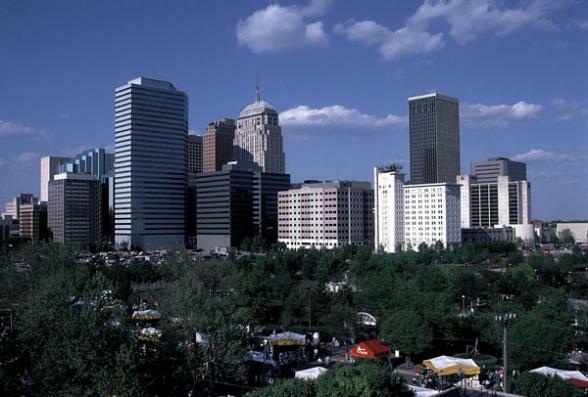 The city was originally the focal point of Indian trails that ran all across the US and the jumping off point for Lewis and Clark’s Expedition of Discovery to open the West through the newly acquired Louisiana Purchase. It will also be your jumping off point to points south and west, as you begin your classic journey through the wide open spaces. Springfield, the Illinois State Capital, is Abraham Lincoln country. He left here to serve as President of the United States during the most awful period in American history, the Civil War and returned as a fallen hero, a casualty of the same war. New Salem where Lincoln lived and worked for six years has been reconstructed. Costumed interpreters bring the village alive. The Lincoln Home National Historic Site is the centerpiece of a four block historic neighborhood. The President’s Tomb, Presidential Library and original law office are also open for touring. As you cross from Illinois into Missouri on your Route 66 holiday, you’ll be crossing the historic Chain of Rocks Bridge. Be sure to stop at Ted Drew’s Frozen Custard, serving Route 66 travellers since 1929. 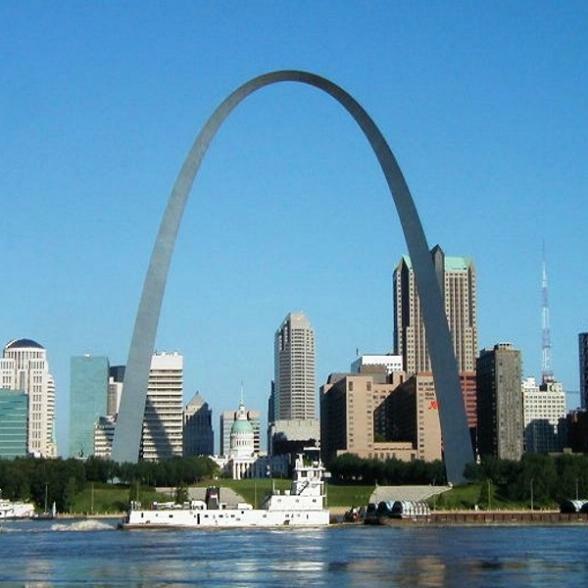 In St. Louis, the original Route 66 road tracked through town very near the Gateway Arch and we definitely recommend riding the elevator inside Arch to the top of the 630 foot structure. Spectacular views of the Mississippi River await you on your holiday. In the evening, you can catch up with the St. Louie Blues, which were born right here and taste the fruits of Anheuser-Busch, the world’s largest brewer. Driving Route 66 from St. Louis to Springfield, Missouri takes you through the lush rolling hills of the Missouri Ozark Mountains. The road follows the Great Osage Trail, a major Indian path across the state and a route used by Jess James, of famed James Gang fame, who locals knew as just a nice Missouri boy. One of the most famous attractions on your Route 66 holiday, Meramec Caverns was also used by the James Gang as a hideout when escaping the law. Lester Dill who owns Meramec Caverns started the American advertising institution, the bumper sticker, when he gave away portable advertising to all who stopped by to visit on their road trip. Much of the rural Ozark region, punctuated by the second oldest mountains in the world, looks much as it did when the first settlers arrived. 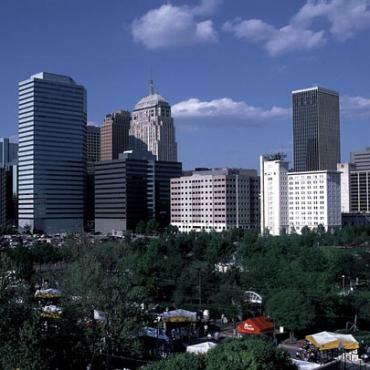 Springfield has been bustling since the St. Louis-San Francisco railroad arrived in 1870. Even though most of Route 66 through here is now Interstate-44, remnants of the old route are everywhere just off the highway. Interestingly, Springfield is considered the mother of the Mother Road itself. It was here that Cyrus Avery of Oklahoma who fought for a route through Oklahoma met with John Woodruff of Springfield, to plan and promote the idea of an interregional link that would bring trade and access to the area. In honour, Springfield has preserved much of the old highway frontage along St. Louis Street as well as the Chestnut Expressway. If you’re a fan of western lore, delve into the Wild Bill Hickock legend surrounding his fellow gambler Dave Tutt. There’s so many different stories no one really knows what happened. Nowhere is Route 66 more at home than in Oklahoma, where the pavement follows the contours of the land as though it has always been there. In the dust-bowl years of the 1930s, fifteen percent of Oklahoma's population started out on Route 66 in single cars or caravans carrying all their belongings, children, hopes and dreams with them. This section of your holiday takes you through rolling countryside once the haunt of Native Americans, later the territory of cowboys and outlaws and along part of the famous Cherokee Strip. 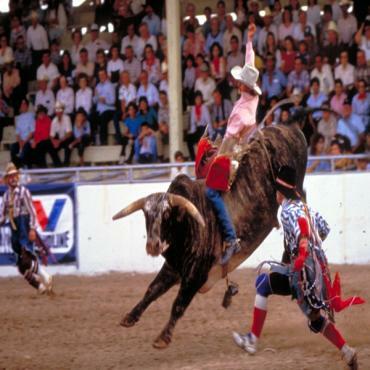 For the traveller going west on the classic Route 66, Texas is Cowboy Country. It is here that some of the most wonderful icons of Route 66, those functional simple buildings that were adorned with all manner of exterior signs promising all things larger than life, still exist. Two headed snakes, reptile farms, alligators, wondrous caves and petrified mummies all vied for the attention of the holiday-maker in a unique side show that would have made P. T. Barnum proud. The tales carried home from these holidays would entice and amaze the neighbourhood for months. Amarillo is one of the last places on earth where the Old West is just minutes away or depending on where you are, could be closer than that. The vast ranches of the Texas Panhandle, some numbering in the millions of acres are just outside of Amarillo. Shortly after being discovered by Spanish explorer Francisco Coronado in 1541, the area became a magnet for cattlemen and sheep herders from all points of the compass looking for fresh grazing grounds. As the Dust Bowl farmers headed to California, more cattlemen and cowhands moved in to claim the same territory for ranching. Step into The Real Texas as the locals say. Today, Amarillo and the surrounding Panhandle area is still a unique blend of the Old West and the New West, populated by American cowboys, roughnecks and self made millionaires and the ever present oil derricks. Working ranches, essentially unchanged from the day-to-day operations of the late nineteenth century peacefully coexist with a vibrant twenty-first century economy powered by petroleum. More than 2 million cattle are still shipped out of Amarillo each year. Make sure to drive Amarillo Boulevard which is the original Route 66 that is still lined with block after block of strip shopping centres and roadside motels straight out of the 1950s. For many people travelling the old Mother Road during its hey-day, New Mexico presented their first glimpse of the more exotic cultures of the Southwest. To people who had never left the Midwest before, it was as if they had entered another country. 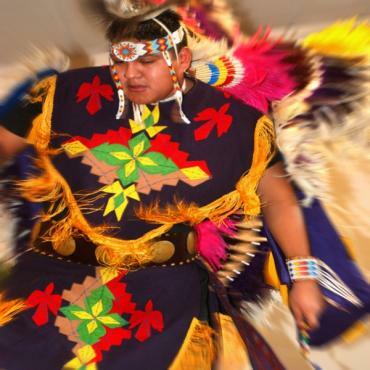 Back then, the Native American and Spanish cultures were much stronger, not having been diluted as much with contemporary life. It was a fascinating heritage of old Indian Pueblos that dated back to before European colonisation and Santa Fe and Albuquerque that looked like they could have fallen straight out of Mexico with adobe buildings and a Spanish plaza in the middle town. What adventure and discovery these lands presented; a phenomenal contrast to middle America. Unique to New Mexico also was the number of Mom and Pop businesses that sprung up along the classic Route 66. Some are still there. More amazing are the materials used to create workable spaces for the businesses. Crates left over from World War II became the walls of a motor court. Oilcans became shingles used to roof a service station. Cast away bottles and road-side trash became the material to create a wondrous road-side attraction. Dinners could be ordered from a catalogue and shipped by railroad to their destination. 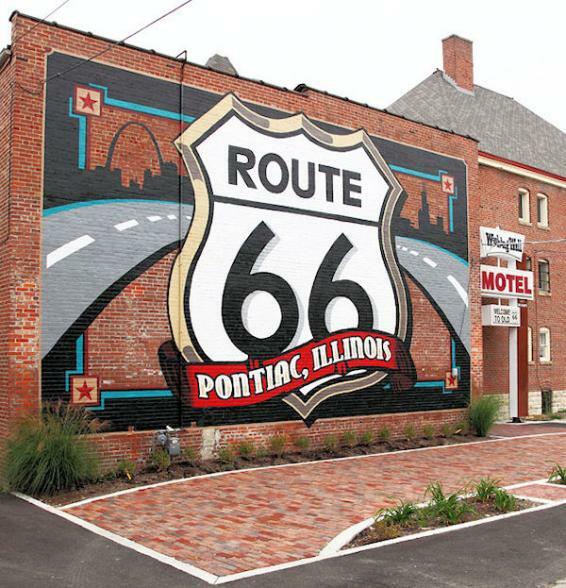 These are the same icons you can marvel at on your Route 66 holiday - the road that so represented America’s love affair with the automobile. As a result, New Mexico still has the most miles of original Route 66 that can be driven today. On you way between Amarillo and Tucumcari, New Mexico, be sure to stop at Cadillac Ranch to see the ten tail- finned Cadillac's buried in the sand. Once nicknamed Six-Shooter Siding, Tucumcari, New Mexico got its start in 1901 as a rowdy railroad camp filled with saloons and outlaws. Soon, it became one of the many small railroad towns in the southwest with a flagging economy and diminishing population. Today, Route 66 is critically important, since it was the new businesses that were established along Route 66 which allowed Tucumcari to hang on, when other towns failed completely. Realising that they have one of a handful of authentic road-side towns still intact and thriving has promoted a renaissance and revival among the gentlemen and businesses who just refused to let this wonderful piece of Americana and the American road trip pass away entirely. Let the signs that read Tucumcari Tonight! beckon you to this interesting place. Enjoy sweeping views over the Land of Enchantment as you approach today's destination Albuquerque, New Mexico. 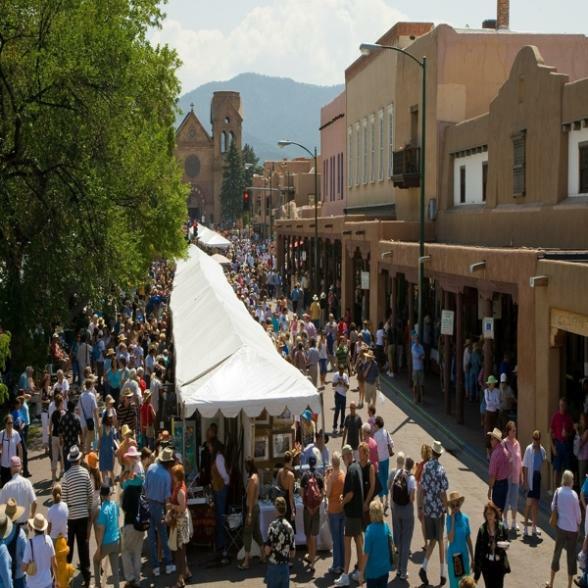 Enjoy a short detour drive today to colourful Santa Fe, the second oldest city in America and best known for art and it's unique Southwestern Pueblo architecture which dominates the city's landscape. Make sure you visit the colourful Indian crafts market and walk around the gallery filled town square. Leave Santa Fe this afternoon and drive to Albuquerque , the city of the Rio Grande and New Mexico's Big City. Albuquerque is surrounded by the beautiful Sandia Mountains. Today visit the Petrified Forest National Park on your Route 66 holiday with it's thousands of acres of petrified trees. 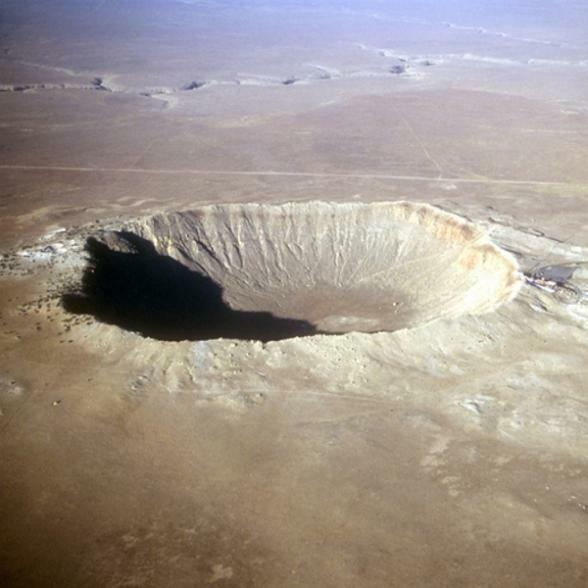 Approx 30 miles from Holbrook is the fascinating Meteor Crater. Over 22,000 years ago a meteorite blasted a huge hole, nearly a mile across and over 500 foot deep into this plateau. On site the former USA Museum of Astrogeology has been remodelled and includes new displays on the never-ending process of impacts and collisions in our solar system. The Meteor Crater Interactive Learning Centre includes twenty-four exciting exhibits, making it the most extensive and informative museum of its type on planet earth. Also included in the Learning Centre are two interactive computer displays that contain information and high-tech graphics on space, meteorites and asteroids, the solar system, and the Shoemaker-Levy 9 comet that impacted Jupiter. The Grand Canyon is not officially on the classic Route 66 tour, but it’s a popular detour on our Route 66 holiday. When you're this close to such an iconic landmark it makes sense to include a visit. On your way, stop in Winslow, Arizona which was made famous by the Eagles song Take it Easy. You’ll also find Winona, mentioned in Get Your Kicks on Route 66. 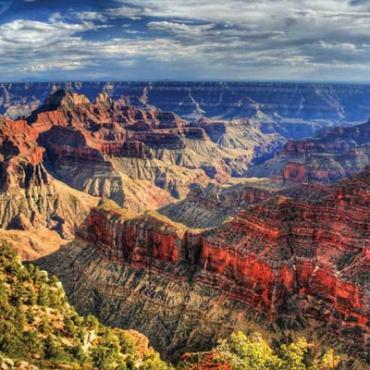 Once you reach the Grand Canyon, you’ll soon discover standing on the South Rim that it is absolutely awesome; a massive and most dramatic natural wonder. 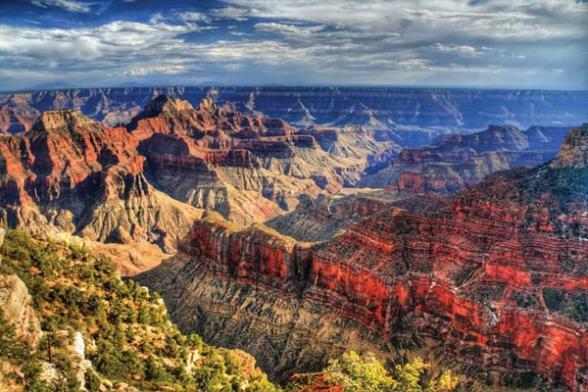 The Grand Canyon is 277 miles long, 6,000 feet deep at its deepest point and 15 miles wide at its widest. The Canyon is a geologic mosaic of five life zones and three desert types. The higher elevations are covered by forests. The canyon rim is only a short stroll from the Canyon View Information Plaza. An eight-mile round trip on Hermit Road takes you to views of the river at Hopi, Mohave and Pima Points, as well as to Hermits Rest, a historic landmark with a great view of the river. The 25-mile scenic Desert View Drive delivers views of the canyon and the Colorado River at Moran Point, Lipan Point, and Desert View. A must to do on your holiday is to take a 30 minute flight over the canyon for the best view of all. Let Bon Voyage pre-book excursions for you such as Canyon hikes, sunset jeep tours and helicopter trips to the North Rim. Everybody has to visit Las Vegas once in a lifetime and today is your day as your Route 66 holiday takes you right there. 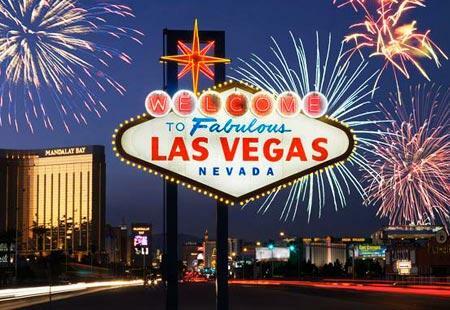 It’s a city founded on entertainment, glitter and fabulous night life. You can of course, try your hand at gambling, or let your hair down, enjoy yourself, take in a show, and otherwise let yourself be entertained. As they say in Las Vegas; what happens in Vegas stays in Vegas. 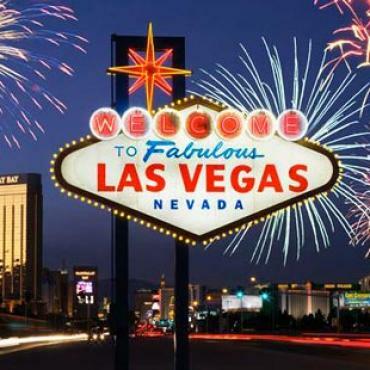 Las Vegas has seen unbelievable expansion since it emerged from the desert 100 years ago, with sights and sounds that are enjoyed by over 38.9 million holiday-makers every year. They stroll in some of the most glamorous, unique hotels in the world, eat at five-star restaurants and expansive buffets, play in pools, health spas and golf courses. Sometimes (many times, actually) they even marry each other. There is plenty of choice for you to enjoy. It’s the last day of your classic Route 66 Holiday. Finally, after a road trip through the Mojave Desert today, you’ll reach the bright lights of Hollywood. It may be hard to believe that the area around Barstow was once covered by immense lakes ringed with Native American villages. When silver was discovered in Calico, the area became a mining centre that included borax mining. Route 66 is Main Street through Barstow. Just off Main on First Street, you’ll discover the original Harvey House which gave rise to hospitality complexes all over the southwest. Rainbow Basin about 15 miles north of Barstow is one of the lakebeds that existed between 10 and 30 million years ago. Calico Ghost Town is California’s official Silver Rush Ghost Town, preserving one of the few original mining camps in the Old West. One third of the town is original with the rest constructed in the spirit of Calico’s Old West past. 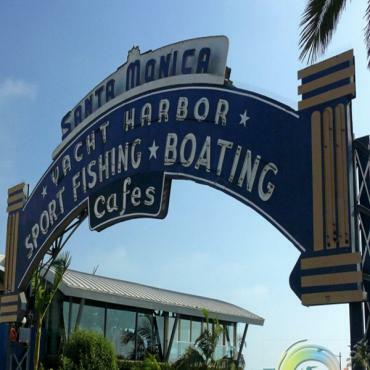 Today’s final destination is Santa Monica where Route 66 officially ends at the Santa Monica Pier. However, the road my have ended but your adventure doesn't have to. Perhaps you may want to extend your holiday and head to one of the Hawaiian island for a few days of relaxation? Contact the experts at Bon Voyage to discuss your dream Route 66 road trip.